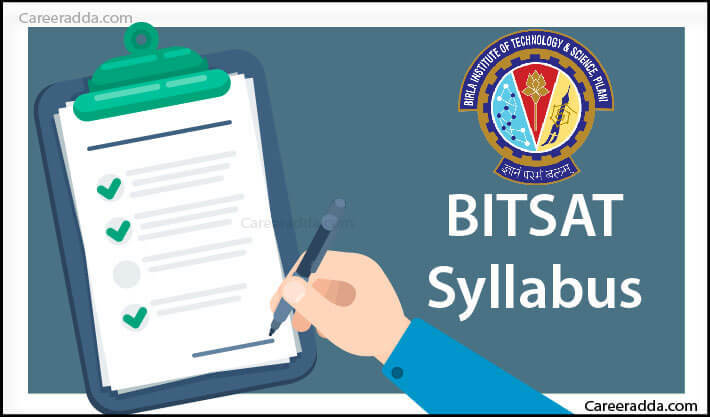 BITSAT Syllabus 2019 : BITSAT 2019 exam pattern along with other details is given in BITSAT 2019 information brochure. 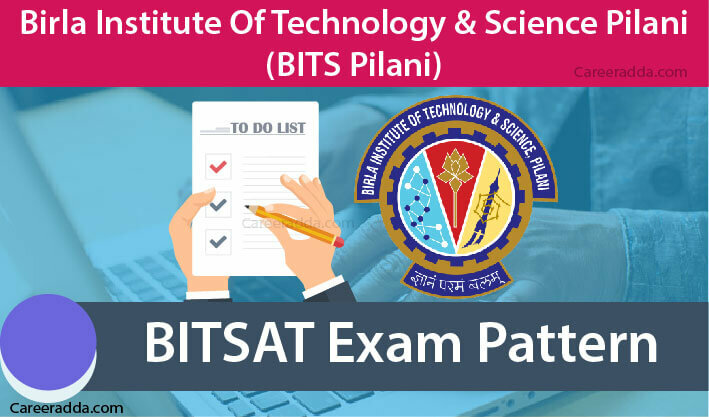 Understanding BITSAT 2019 exam pattern is necessary for those candidates who want to secure a seat at any of the BITS campuses. Note – To know campus wise course details, please refer to BITSAT 2019 information brochure. BITSAT 2019 shall be conducted for taking admissions to Integrated first degree programmes [B. Pharma, M.Sc. and B.E.] for the academic session 2019-20. BITSAT 2019 will be conducted in online mode only means an aspirant has to use a computer in order to answer the questions. BITSAT 2019 will be of total 3-hour duration and divided into 4 parts – Part I Physics, Part II Chemistry, Part III English Proficiency & Logical Reasoning and Part IV Mathematics [for B.E. & M.Sc.] or Biology [for B. Pharm.]. Each part of BITSAT 2019 shall have multiple choice questions, each of 3 marks. There will be 150 MCQs in all. There will be also a provision of negative marking. For each incorrect answer, 1 mark shall be deducted as a penalty. No marks will be deducted for not attempted questions. All the MCQs will be in English only. Trigonometry Inverse trigonometric functions, Solution of trigonometric equations etc. Diversity in Living World Animal & Plant Kingdom, Biology – its meaning and relevance to mankind etc. Q 1. What Will Be The Mode Of BITSAT 2019? Ans. BITSAT 2019 will be conducted in online mode. It will be a CBT to be organized for taking admission to several Integrated First Degree programmes of BITS, Pilani for academic year 2019-20. Q 2. What Are Dates Of BITSAT 2019? Ans. BITSAT 2019 will be conducted between 2nd to 3rd week of May 2019.